One of the most popular travel destinations during the Yuletide season is any jam-packed tiangge, baratillo, or bazaar. This is especially true for Filipinos, who upon receiving their 13th month pay and/or Christmas bonus troop to the mall and other shopping centers for some holiday splurge. This in turn gave rise to the popularity of bazaars, which are often crowded as they offer rare and precious finds for an irresistible, affordable price. If you still have Christmas shopping money left or waited until after Christmas to avoid the huge crowds, you better rush to these four bazaars now and bear in mind our tips and tricks when visiting them. Clothes are not only meant to warm you; they also let you express your style. If you have a passion for fashion, then don’t miss the chance to explore Taytay Tiangge—it may be out of your usual shopping area, but is really worth the time and effort. Being the unofficial garment capital of the Philippines, Taytay in Rizal Province is in fact the supplier of fabrics that find their way to Divisoria, Baclaran, Greenhills, and many more. This means you will find clothes and apparel at discounted prices here, and also enjoy a wide variety of outfits from skirts and jeans, to simple shirts and fabulous dresses. Don’t forget to bring barya or loose change, as well as eco-bags and recyclable shopping bags to save money and to be environment-friendly. You will also spare yourself the inconvenience of carrying too many small bags. Head to Taytay in the morning, as haggling here starts really early. The good news is that you will be done with your shopping very early in the day, too giving you plenty of time to run other errands or do what you want. Vehicular traffic is also light at this time. There are two things to remember about Marikina: First, it is the Philippines’ shoe capital. Second, it is home to the Riverbanks Center, which is the perfect place to buy goodies and presents all year round. Riverbanks Center is a community mall and park, so expect a variety of activities you can do here. But for those in dire need of a retail therapy, what you can find here are outlets of local and global brands such as Adidas, BNY, Guess, Levi’s, Nike, and Puma, among many others. To go to Riverbanks Center, you may take a UV Express from Cubao’s Araneta Center. If you’re coming from downtown Manila, take the LRT-2 Line to Santolan, and ride a passenger jeepney to Marikina after. Little tykes and tots can have a great time, too as the place is close to interesting spots such as the Museum of Miniature and The Spirit of Bethlehem, which showcases more than 500 pieces of the Nativity scene. Located at the heart of San Juan, the first thing that Greenhills Shopping Center offers is accessibility—it is close to Quezon City, Mandaluyong, and Makati. At the same time, you will get high-quality items at bargain prices inside an air-conditioned mall, so you won’t be as stressed. Speaking of, the nearby metro malls and department stores can also be a haven for bargain finds. Go early to avoid traffic jams. San Juan is now a growing foodie hub, so check out the many different restaurants near Greenhills Shopping Center. Christmas or not, Divisoria is the go-to place for absolutely everything under the sun. Food, baking and kitchen supplies, garment and clothing, electronics—you name it! This place, in fact, needs no introduction for the full-blooded and frugal fashionista. 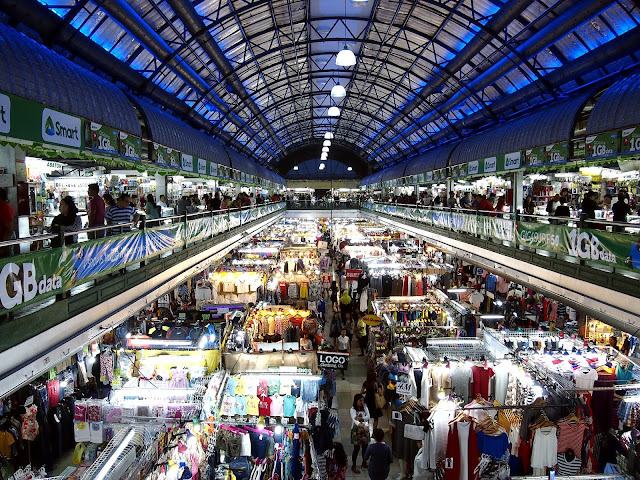 Since Divisoria is so famous, expect the crowd here to double or even triple during the Christmas season. This is why it is better to do your shopping here after the holidays. Make a plan beforehand. List down all the items you need, check the places you can get them online, and do not stray from your path. The place is so crowded that any side trip can cost you precious time. It is also advisable to wear your most comfortable and casual outfit. Double check the quality of the products you intend to buy. In some cases, low-quality items are mixed with the good ones.